This is a very simple activity for kids. 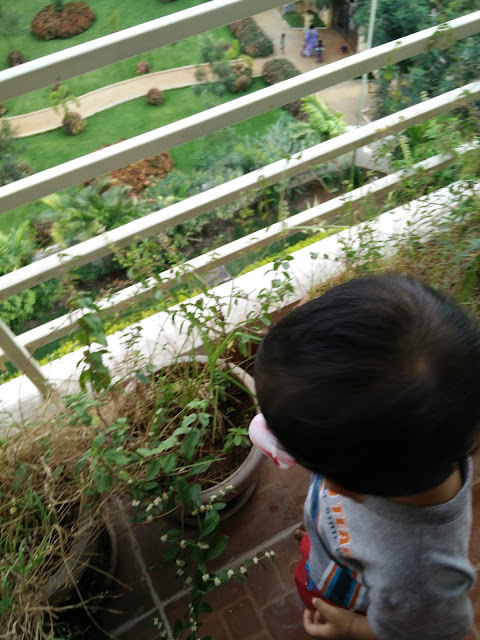 Not only enjoyable but also teaches the importance of nature and appreciates the same. 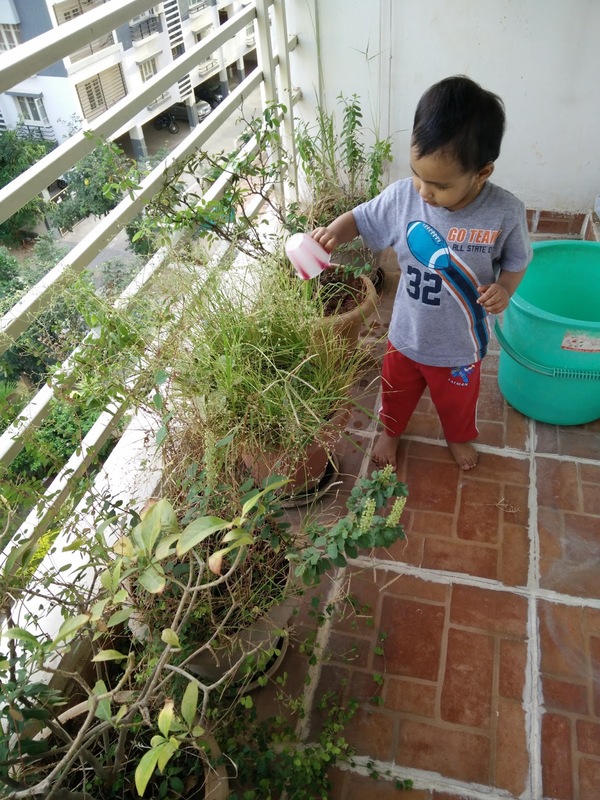 Purpose of watering the plants can be explained to the child which with time gets clearer and better to understand. 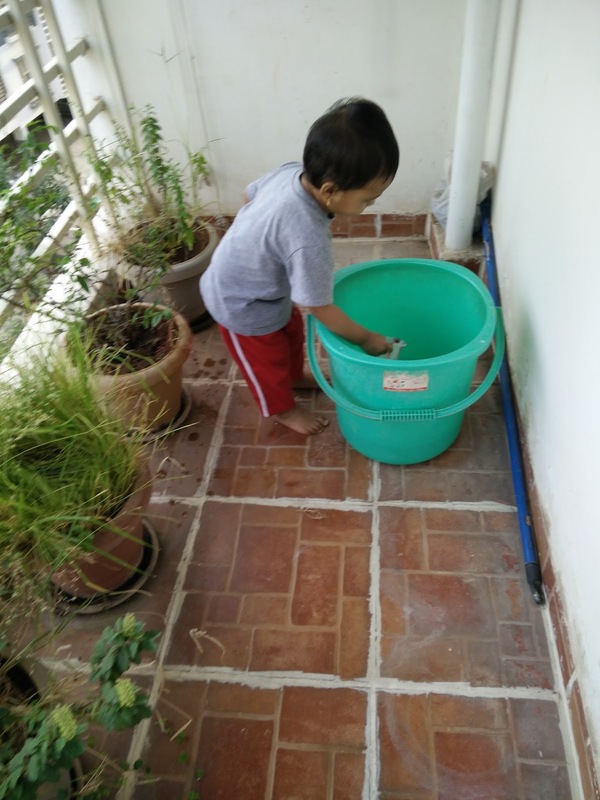 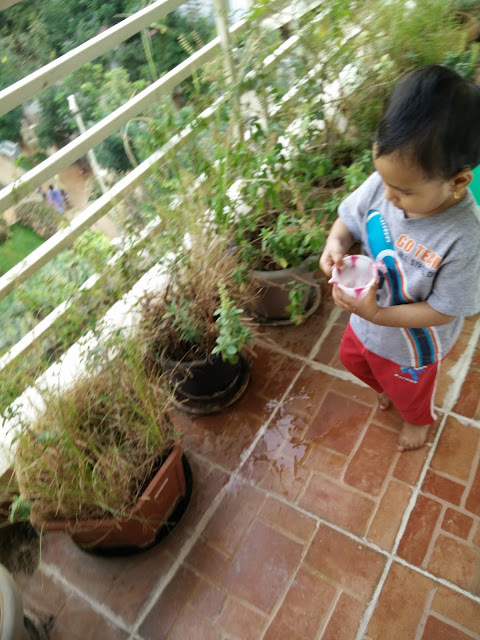 Also, from a child's perspective, it is not just about nature and watering plants but development of fine motor skills, holding a mug, pouring water, pouring water right in the pot, walking along with holding a mug full of water in hand, walking carefully on wet floor and many other mental skills that we cannot perceive actually. There's lot more running in a child's brain than that we observe and understand. 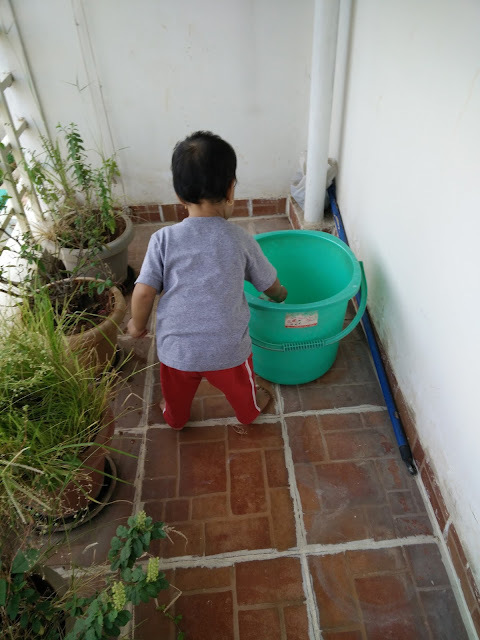 This is one activity that my toddler loves to do everyday with no sign of boredom. 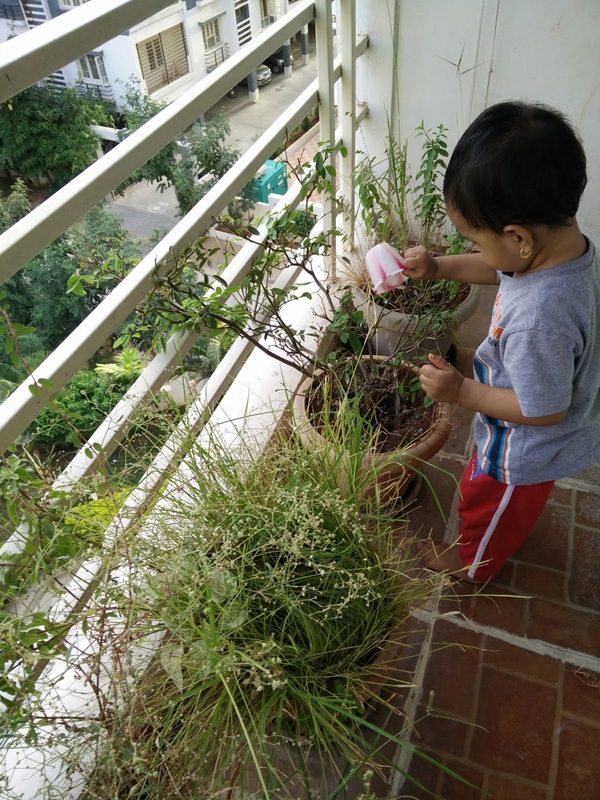 She carries a tiny mug and waters all the plants in a row one after another saying 'this one next', 'this one next', and so on.